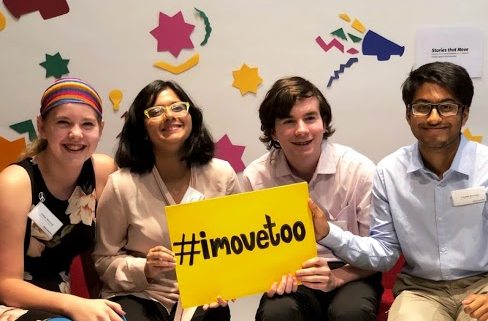 “In a world where discrimination is pervasive, inescapable, and rooted in the entire history of humanity’s existence, the next generation must be equipped to take on injustices wherever they may be found,” says Rania Khan, a Middle Years Programme (MYP) student at the International School of Amsterdam (ISA), in the Netherlands. Rania is part of a group of students at the school, who have helped to develop Stories that Move, a free online toolbox for schools, which challenges learners (aged 14-17 years) to think critically about diversity and discrimination. Created by the Anne Frank House with partners from across Europe, it is available in seven languages and has five learning paths, featuring assignments, information and short films of young people’s experiences of discrimination. ISA was approached to become a project partner by the Anne Frank House in 2015, explains English teacher Shannon Hancock, who is one of the programme leaders. The school was able to offer extensive experience with online learning, a diverse student population (60 nationalities), innovative pedagogical practices, as well as an IB ethos of international-mindedness. “The aim of the project is to create a framework and space for safe, open dialogue about identity, discrimination, and to inspire students to take positive action in one’s local and/or global community,” says Hancock. It fits with the MYP, which encourages students to make practical connections between their studies and the real world and aims to develop active learners and internationally minded young people who can empathize with others and pursue lives of purpose and meaning. Students and teachers at the school have made an important contribution to the project. Hancock piloted the materials online and offline with students, as well as providing input on teaching strategies, content, design of lesson tracks and refining the learning paths. While Michael McGlade, Director of Educational Technology at ISA, has acted as a technical design consultant. 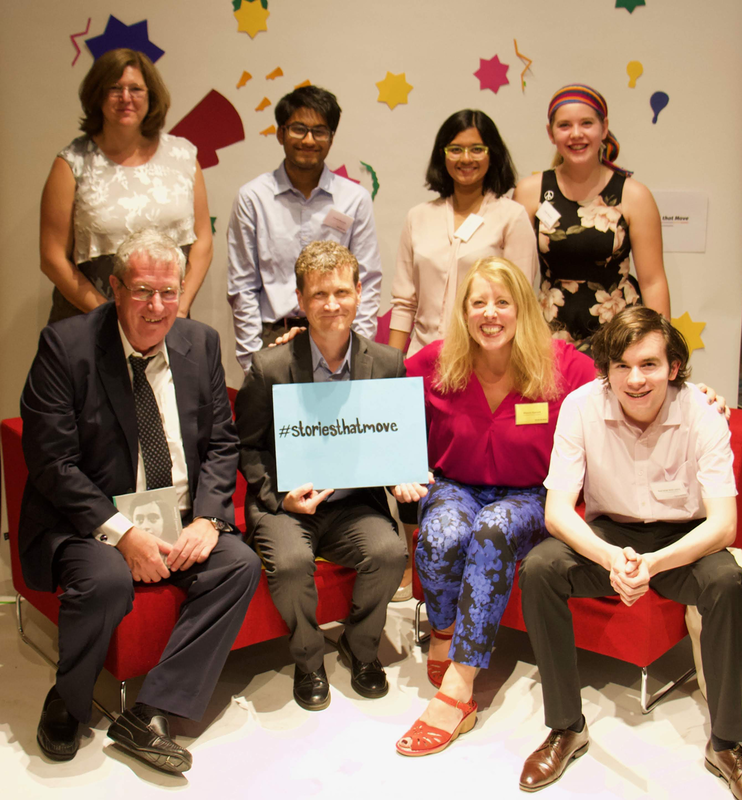 “The grade 8 teaching team also collaborated closely, by trialling the materials in their homerooms and providing feedback to the Stories that Move partners on both the look and feel of the online learning tool,” says Hancock. 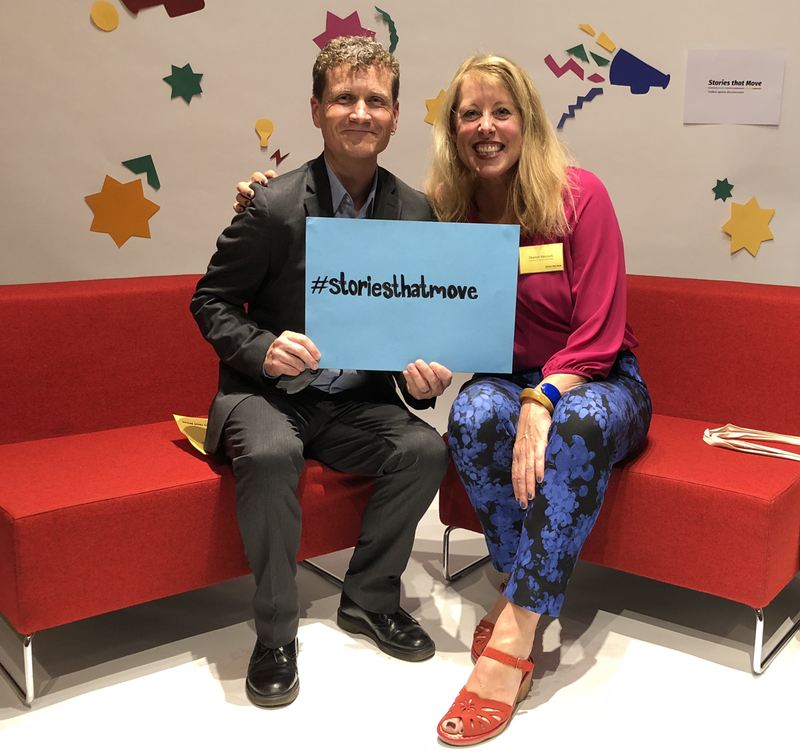 McGlade and Hancock presented the project at two conferences and helped facilitate the international project launch and teacher workshops in Berlin in July. Four students from ISA—Rania (from Bangladesh), Zozi Lencz (from Hungary), Trinabh Banerjee (from the Netherlands) and Leilani Hancock (from the US)—participated in workshops at the Anne Frank House and provided feedback and ideas. They were also asked by the Stories that Move team to present and lead a social media campaign at the international project launch. The students have been asked to continue as ambassadors for the tool. This autumn, they launched a creativity, activity and service (CAS) club with the goal of creating a larger team of students to develop a series of parent workshops; to reach out to other schools in the Netherlands; to continue to act as speakers for the project at conferences and workshops and to prepare as teacher/student trainers for the tool. The school has also expanded its use of Stories that Move—it is now being used in grade 10 English as an additional language, grade 7 individuals and societies, and grade 8 homeroom. ISA’s grade 9 individuals and societies team plans to use the discrimination learning path section this semester. The Dutch department has also expressed interest in using the online learning tool in the Dutch language. The toolkit is already garnering praise. It won the prestigious 2018 Comenius EduMedia Medal for excellent teaching materials, and will be presented at the UN headquarters in New York on 2 November 2018, at a conference to mark the 70th anniversary of the Universal Declaration of Human Rights and the Kristallnacht 80 years ago. With antisemitism, racism and discrimination still prevalent today, Stories that Move is even more necessary to combat prejudice and help create tolerance and social cohesion. For more information, see Stories that Move. ISA’s grade 12 Nature of Science students have recently been studying a unit titled “the quest for understanding”, which focuses on the universe, the nature of our planet and human evolution. On Tuesday, 11 September, the class visited the Neanderthal Museum in Mettmann, Germany, to gain a deeper understanding of how humans have evolved. The Nature of Science is a pilot IB Diploma programme course that is currently only offered at 20 schools worldwide and was developed developed to meet the needs of students who are not intending to continue scientific study in further education by helping them develop an understanding of scientific methods in order to make sense of the world around them. The Neanderthal Museum is located at the site of the discovery of the first Neanderthal man in the Neander Valley, which gave its name to the newly discovered species. The students received an in-depth tour, focusing not only on how humans evolved but also on the specific methods that scientists use to map out the story of human evolution. They also participated in a practical workshop where they learned to identify and classify skull specimens from a variety of species. https://www.isa.nl/wp-content/uploads/2018/06/ISA-Graduatin-2018-72.jpg 2667 4000 Megan Amelia https://www.isa.nl/wp-content/uploads/2015/08/ISA-logo.png Megan Amelia2018-07-02 14:21:322018-07-02 14:21:32Graduation - Congratulations to the Class of 2018! On 6 December, Colson Whitehead, author of Pulitzer-prizewinning novel The Underground Railroad, visited ISA for a Q&A session with the grade 12 Theory of Knowledge class. 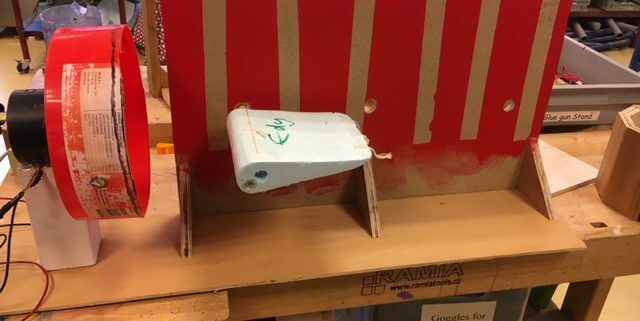 Recently, the students have been discussing art as a form of knowledge. The session was a unique opportunity for students to meet an artist and consider his role in the process of creating the artwork. 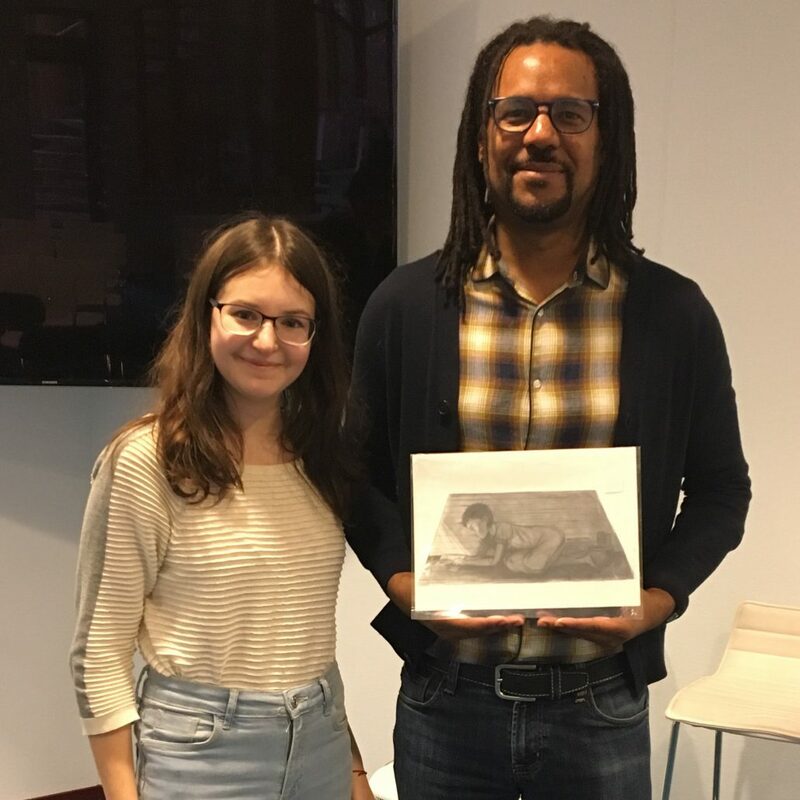 Sofia presents Colson Whitehead with her artwork. The Underground Railroad tells the story of Cora, an escaped slave from a plantation in Georgia, who makes a bid for freedom by following the Underground Railroad, which is represented in the novel is an actual subway system. While he didn’t intend the book to have a didactic message, Colson explained that he depicted brutal violence inflicted on slaves because he felt a responsibility to portray the cruel treatment of his ancestors. Grade 12 student Sofia was inspired by her experience of reading the novel to create her own piece of artwork; a drawing of Cora, peering at the outside world from the attic through a small hole. Sofia was invited up to the front of the discussion and presented the drawing to Colson; she felt that, as he was her inspiration, he deserved the original piece. Following the earthquake in Mexico in September, ISA’s Hispanic community came together to raise funds to help those affected by the disaster. A key aspect of the fundraising efforts was the Hispanic Community Solidarity Breakfast held on November 1st. 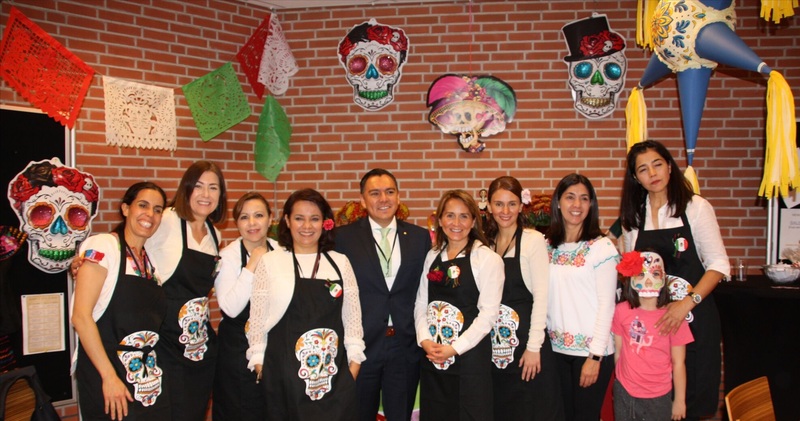 The breakfast was kindly supported by the Mexican embassy, who loaned the decorations and sent their representative, Mr Jorge Delgado Sumano, to speak at the event. The breakfast was a great success, selling over 220 tickets and attracting a large crowd. The Hispanic Community Solidarity Breakfast. Credit: Olga Bolhuis. Both the Upper School and the Lower School held bake sales to raise funds. Staff, parents and students across the school worked tremendously hard to make these sales a success. The Upper School bake sale alone raised €548.35, a fantastic achievement that the students can be proud of. 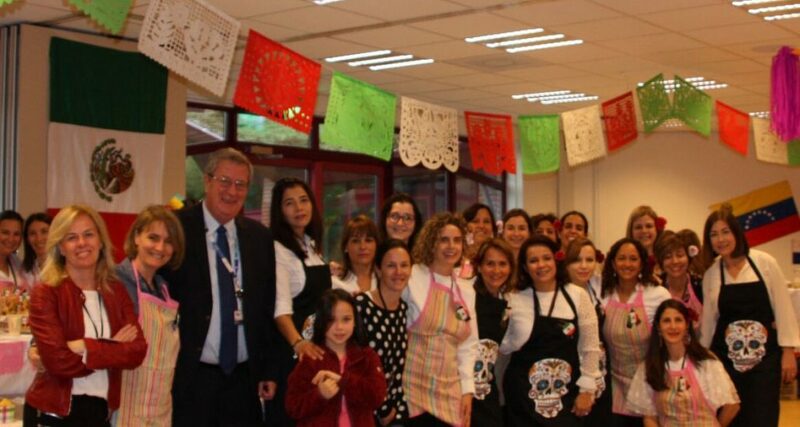 As a result of the combined efforts of the solidarity breakfast, the upper and lower school bake sales and personal donations, the Hispanic community raised a fantastic total of €3834.65. The funds will go directly to UNICEF Mexico, an organisation who specialise in relief efforts for children and families in the hardest hit regions of disaster, providing them with life-saving resources. This is a fantastic example of how our ISA community can come together to do something truly amazing. Some of the ISA community. Credit: Olga Bolhuis.